Conversations with my Mother draws upon the 71 conversations between Mother and Daughter recorded for BBC Radio 4’s Listening Project housed in the British Library Sound Archive. Ingham has transcribed by hand the first 4 minutes of each conversation into 2 handmade books – one including the Mother’s side of the conversation, and the second including the Daughter’s side – which are then woven together and displayed atop a vintage telephone table. A third book, which contains Ingham’s memories of her own Mother prompted by the conversations, resides in the partially open drawer of the unit and viewed through frosted glass. Conversations with my Mother is displayed with Mother & Child, a mixed-media piece on paper, which Ingham developed from the contributions of photographs and media of some 20 women in her social circle who all have a relationship to a particular geographic place. The images show the participants with their own Mothers, children, Grandmothers, siblings, and span a period of approximately 80 years. 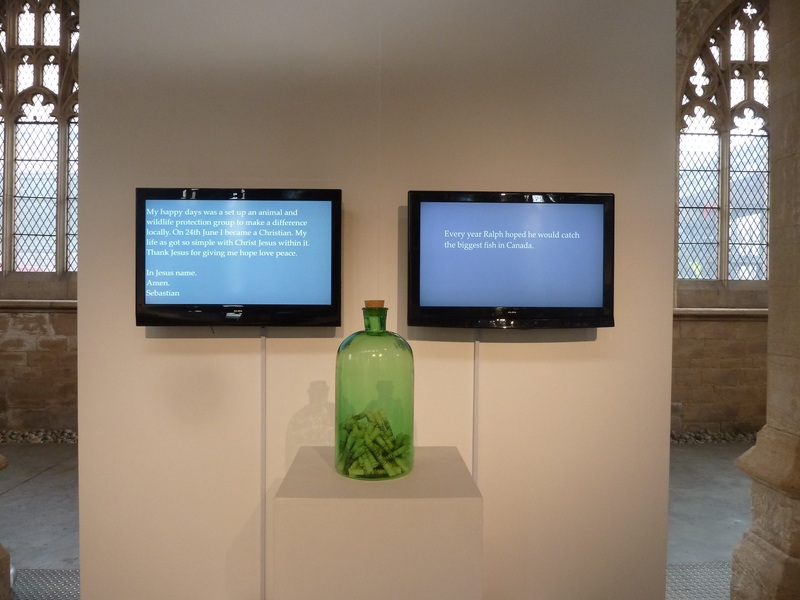 Both pieces were commissioned by Abbey Walk Gallery for , 2015. A 15-minute film about Shifting Subjects – Contemporary Women Telling the Self through the Visual Arts may be seen during 2016 at the Usher Gallery, Lincoln. The Self Portrait is one of the through-lines of Ingham’s practice, through which she uses visual and titular devices to refer to place or the passing of time. 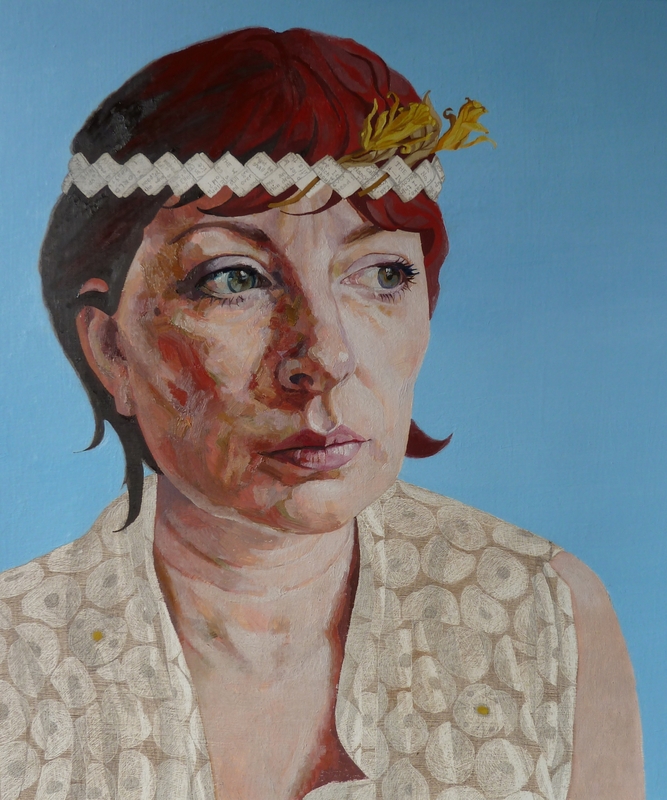 In 2011, she began a series of Easter self portraits, in the recognition that this time of year has often for her been one at which liminal stages have presented themselves; through these works she observes the reality of aging in relation to Easter folk or religious traditions, and sometimes makes a start on several pieces to be completed at a later date. Easter Self Portrait with Headband is the first of this series. It shows a ‘version’ of Ingham, wearing a headband in which dying narcissi are caught, in parody of the Easter bonnet tradition. No longer a new garment representing the renewal of the year, and spiritual renewal, here the headband is a much depleted version of a new hat, representing financial recession here still biting since 2008, and, more tongue-in-cheek, a reference to her own middle-age condition. The head band is drawn in silverpoint, rather than painted, and appears in several further pieces of this series. The original prop was created from the antique pages of The Wide,Wide, World by Susan Warner, aka Elizabeth Weatherell, a sentimental rites of passage novel about a young girl which is often acclaimed as America’s first best-seller. Heavier Than Heaven is the modified biography of the American musician, Kurt Cobain, who died in April 1994 from a self-inflicted shotgun wound to the head. 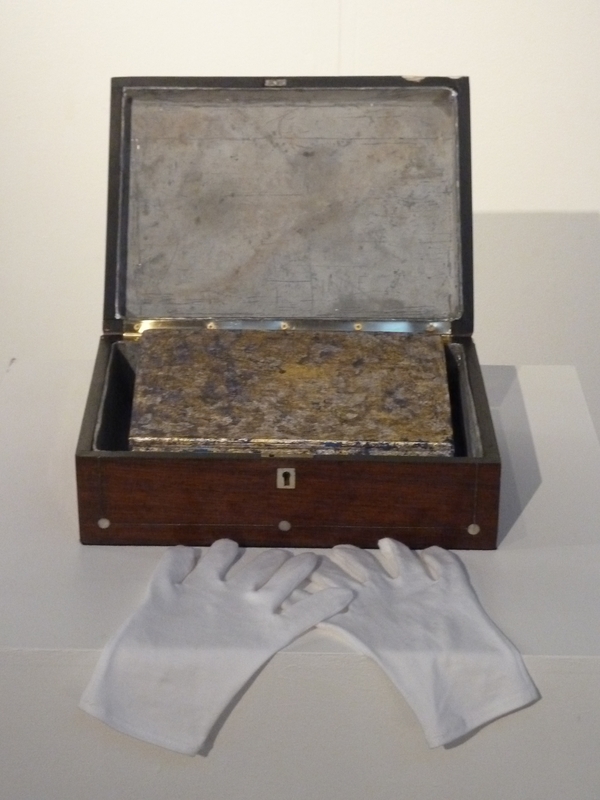 Housed in a modified, lead-lined antique box and displayed with paintings of the Lincolnshire sky, Heavier Than Heaven represents Ingham’s mindful meditation on human pain and mental suffering throughout making the piece. From March to May 2013, Ingham blacked out each page of the book with ink (or oil paint on the photographic pages), and recorded each stage of the process by marking the date in the inside cover, before finally obliterating this text also. The piece is intended to be displayed in churches and sites of contemplation. In Spring 2015, Heavier Than Heaven was selected for the longlist of the Aesthetica Art Prize. A work in progress participatory piece, Eulogy invites the audience to contribute a happy memory of a loved one in a simple book of recycled paper pages. Each memory is recorded, and then printed, letter by letter onto a scroll of the same paper, and bound, before becoming house in a reliquary of recycled glass. The recorded memories are digitally organised into film which may be projected or shown via monitor. Ingham is currently working with composer David Power to develop the memories into a sound piece for choir performance (Feb 2015). 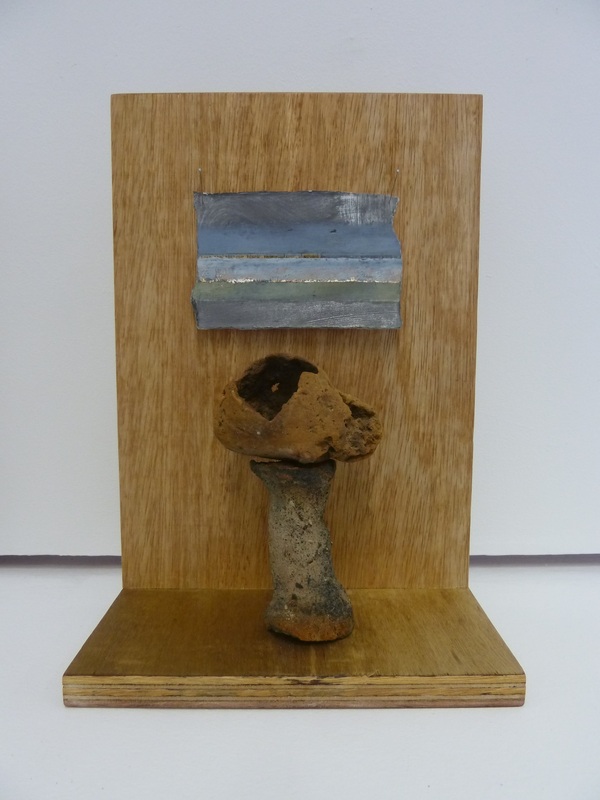 The Union and Reclamation Series are developing out of Ingham’s regular scouring of the beach close by her studio. The Humber Estuary has long brought prosperity to the East of England, where many town and city settlements, fishing, travel & logistics ports as well as several outstanding nature reserves have developed throughout time. Since the industrial revolution, the estuary has been a major site for all of the above, plus a variety of industries, now moving into the future through providing sites for the renewable energy sector. 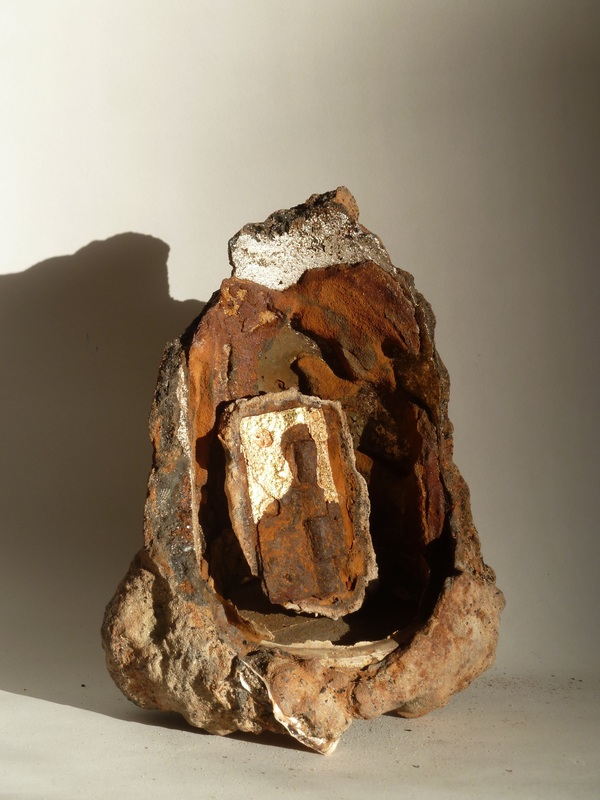 Having been working on both these series since the tidal surge on 5th December 2013 (during the 1953, surge deaths in the Netherlands totalled 1,835, and on British land for estimated @ 307, Belgium 28, and at sea 224) Ingham sees these pieces as nods to the relationship between human activity and nature – positive on so many levels, and potentially destructive on yet many more.